Young, creative, talented... and chefs! Worldwide icon-chevron-right Europe icon-chevron-right Spain icon-chevron-right Barcelona icon-chevron-right Young, creative, talented... and chefs! ©MariaDias This & That Co.
Now that gastronomy is the new football and that even those who never went beyond fried eggs talk about spherifications, now, paradoxically, to establish a signature cuisine restaurant is harder than ever. 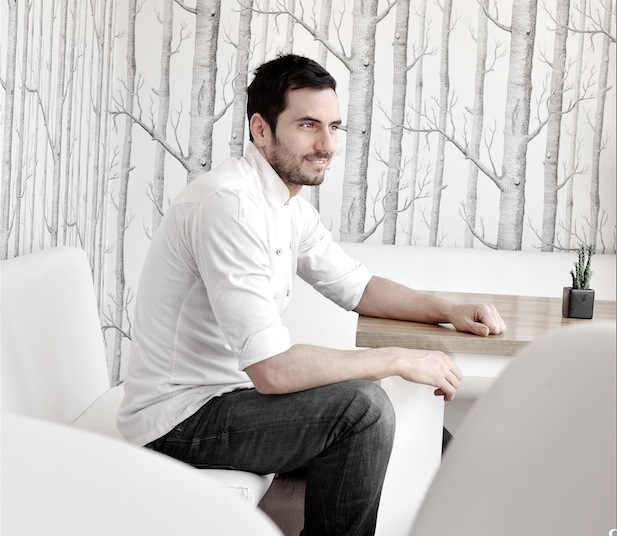 If you’re not Albert Adrià or Xavier Pellicer, or you have no group backing you and your only assets are will, idealism and creativity, you’ll find yourself in trouble to convince a clientele more and more informed to make a reservation. Not only because we know more about gastronomy and the offer is seemingly infinite, but also because the economic crisis has forced us to be more cautious than ever spending our money. 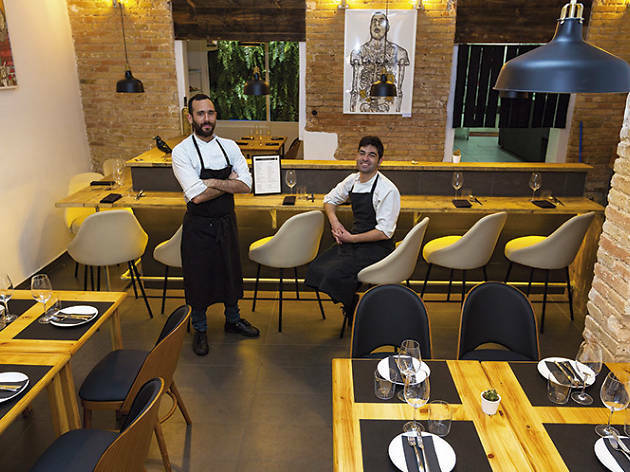 Despite these adverse circumstances, talent has shined in crisis-stricken Barcelona, and taken the shape of new chefs that have conquered the most demanding palates with a signatures cuisine far from the Michelin universe. 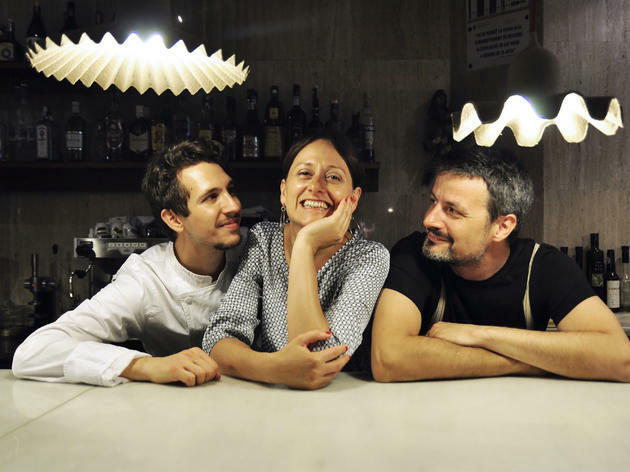 Nicoletta Acerbi and Toni Pol are two true food lovers, the kind that always know the small purveyor, located at any corner of Catalonia, or that producer who’s just beginning. They’re committed to local and season products. She comes from gastronomic journalism and he, from the hospitality world. 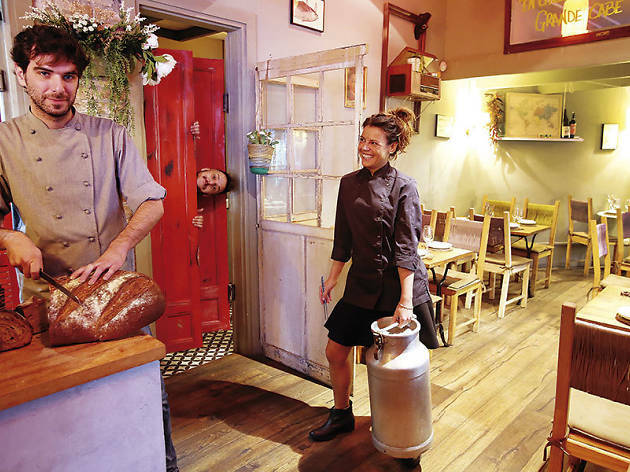 After many years of apprenticeship on the ground, they decided to establish a restaurant and convey young Italian chef Paolo Mangianti to create «a Mediterranean roots cuisine, with Italian hints, with local products and also Italian products that I import”, explains Nicoletta, proudly displaying the Slow Food certificate at her place. Whoever looks for pizza or pasta must know Due Spaghi is not the place: “we may offer cocoa spaghettis with red prawns, mató and kale one month, but we also have main courses such as cod or angler”, the chef says. Venezuelan Oswaldo Brito and Barcelonan Bernat Bermudo met as students at Hofmann. Bermudo went to Peru for two years and came back deeply in love with the multicoloured festival of textures and flavours of Peruvian cuisine. He met again his old acquaintance and together they shaped their project, Mano Rota. They both coincided in their view of the concept of fusion cuisine, which is the axis of their work: “putting soya on a plate is not fusion. 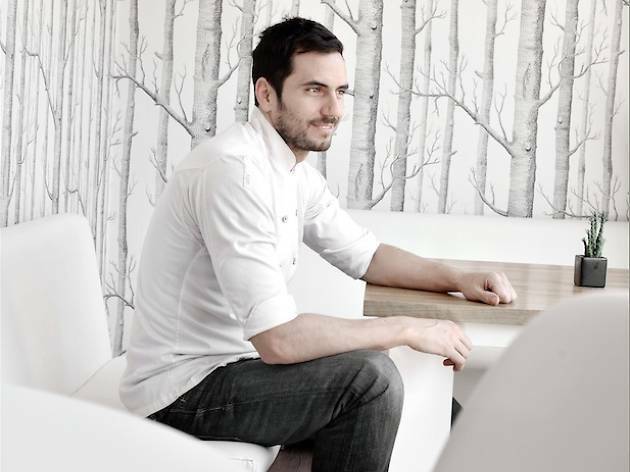 The only way to do it well is to apply the philosophy of that gastronomy on every dish”, says Bermudo, who wants to “do something that people have never tasted”. The result is a gastronomic proposal with a Latino hint and Mediterranean strokes. And it is surprising, without extreme flavours, creative and rich. 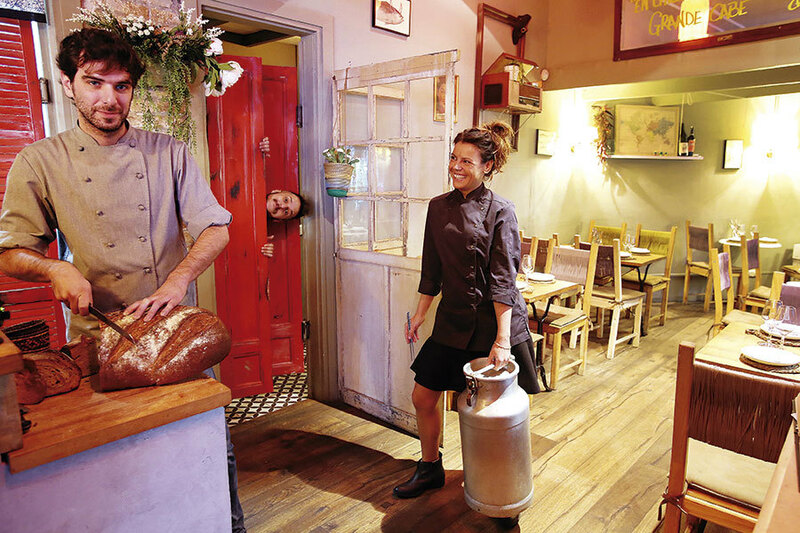 Before anybody states that “L'Hospitalet is the new Poblenou”, or similar catchphrases – and in case it hasn’t been done – we’ll have to admit that the prohibitively high prices downtown have forced many interesting chefs to begin their adventures at the city suburbs. 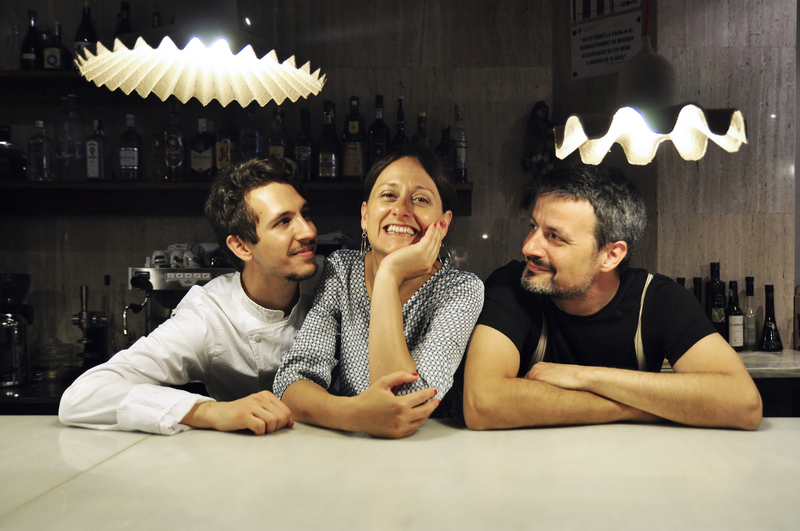 This is the case of Susana Aragón, with her Ona Nuit at El Prat de Llobregat, and also of Argentinian Pablo Carrizo in this venue, that profits from his experience at restaurants such as La Terraza del Casino, el Bulli, Quique Dacosta, Sant Pau, Berasategui and El Celler de Can Roca. 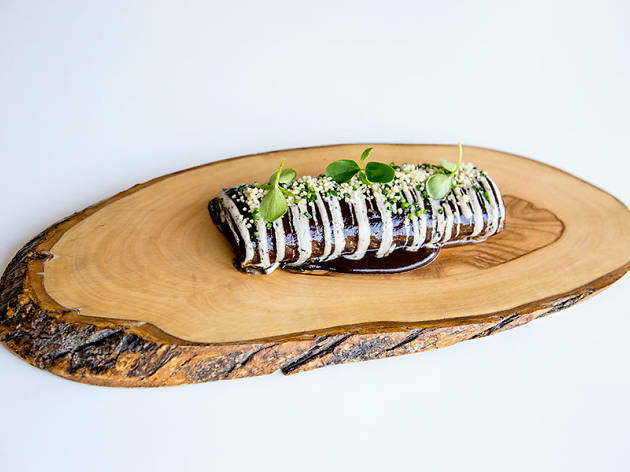 Pablo offers a simple product-based cuisine, without quirkiness or extravagant ingredient combinations. 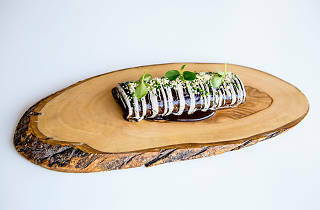 Instead, he makes a wager for accuracy and intuition when he creates dishes such as Iberian pork “pluma” (“feather”, the uppermost extreme of the tenderloin) with teriyaki and sweet potato purée. Raquel Blasco and Marc Santamaría’s story is a perfect example of that concept, self-made people, that some love so much. These two 29 year-old Barcelonans, a couple, are not posh, nor do they stem from long-established families in the world of hospitality. They met as cook students and went to live in London, where they were asked to found a Spanish cuisine restaurant at Hangzhou (China). They did, and it was such a success they ended up opening a second one in Shanghai. After this experience, repeating the adventure in Barcelona was easy. 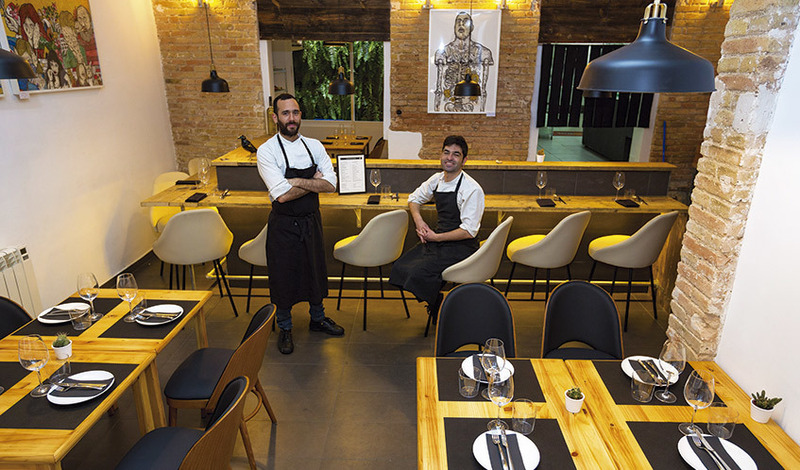 They knew they wanted to offer a cuisine with an Asian slant, but once they were established in the Catalan day-to-day, they realized that “what we sold best was Spanish cuisine, based in Spanish products – some of the best in the world - but with Asian techniques and flavours”. Don’t fall in love with any dish, for you’re going to suffer: it will soon fall from a menu that’s constantly changing.